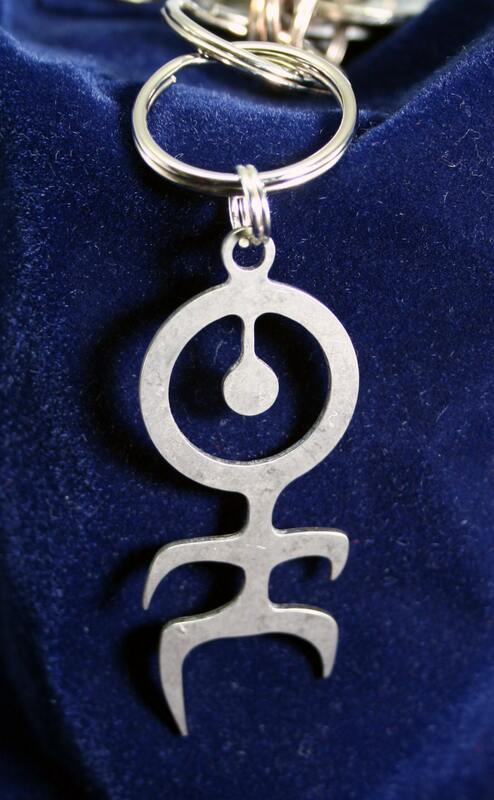 Toltec Man - Toltec Petroglyph Keychain Charm - also referred to as the dancing cyclops by a friend of mine. Fashioned after and ancient Toltec Petroglyph cave drawing. This sign was originally discovered in a cave in central Mexico and was believed to have been created between nearly 700 and 1200 A.D and sometimes described as "Toltec Man" or "Sun Man" . 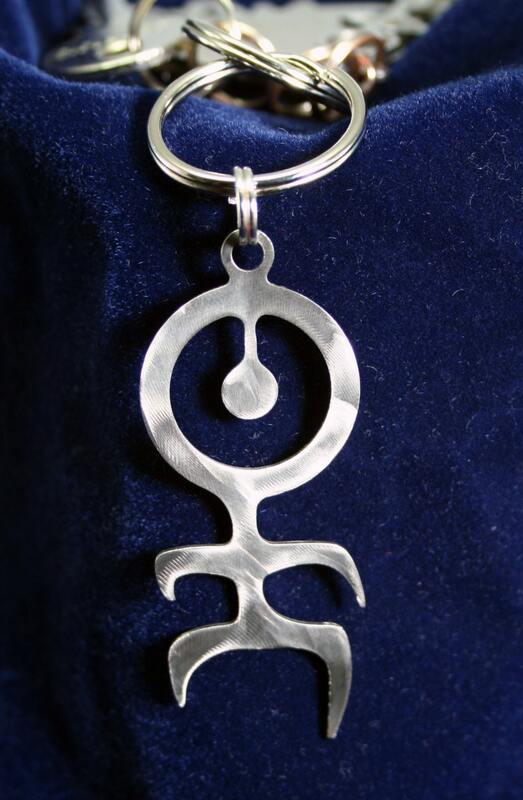 This Toltec Key chain depiction is made from 18 gauge (1.024 mm) stainless steel with a tumbled (matte) finish or brushed (shiny). Comes with a nickle plated 9 mm split ring. 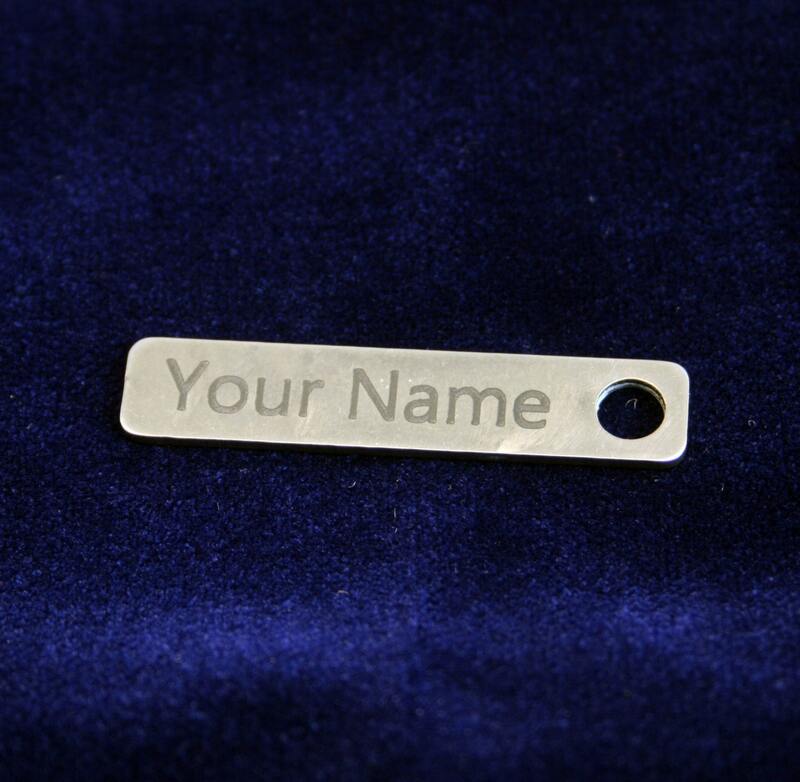 Measures approximately 1-1/2" (38.09 mm) wide by 2-1/2" (63.5 mm) tall for use as a key chain or necklace. Select Key chain option under "Style" to receive a 3/4" (19.5 mm) split-ring along with your purchase to use as a key-chain. 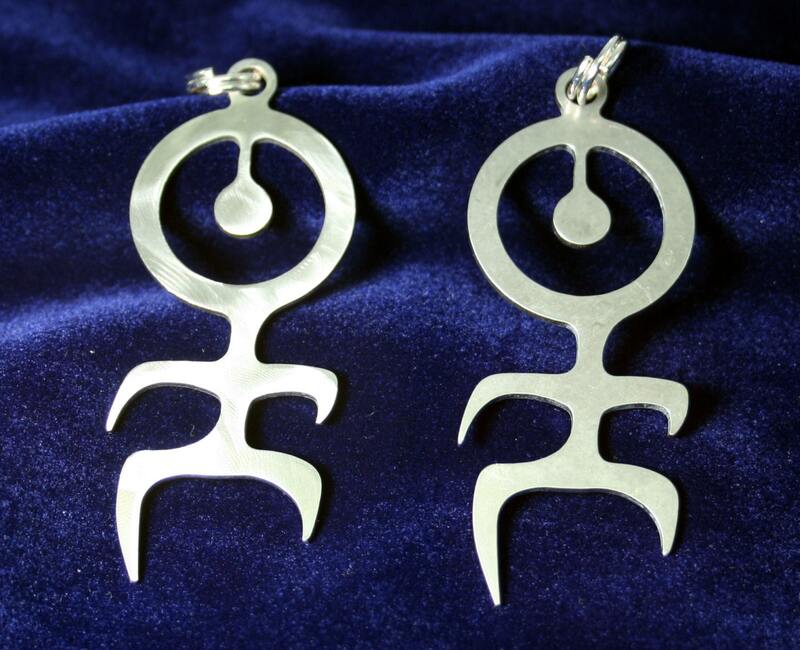 Perfect gift for a fans of the German band "EINSTÜRZENDE NEUBAUTEN"
*****"Great quality and fast shipping! Thanks, it was better than I expected." ***** "Beautifully made item, I love it and wear it every day! Fast shipping as well. Great shop!" ***** "This is exactly what I was looking to have made, and it came out perfect!" ***** "Very well-made, shipped and arrived promptly. Thank you!" 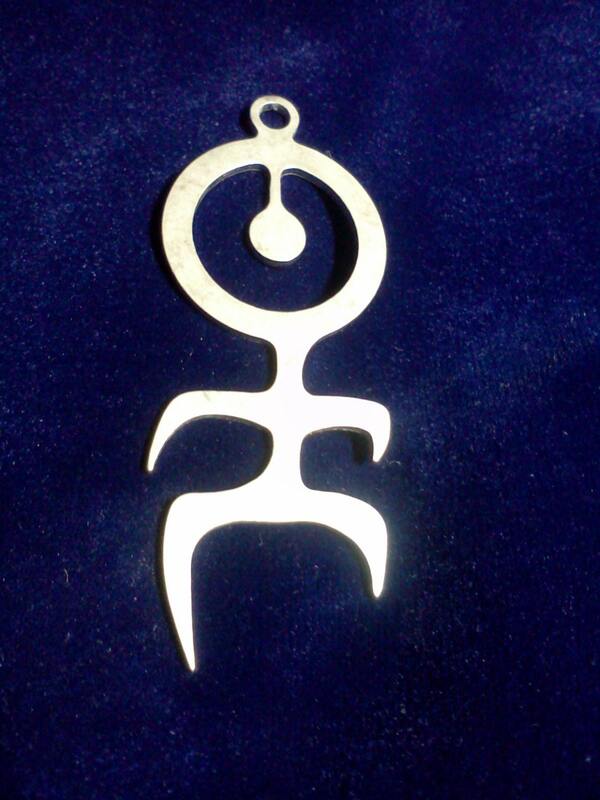 ***** "Beautiful handcraft, works well as a necklace pendant. Thank you so much." ***** "I already bought one of these just last week though what I received exceeded my expectations to such a degree that I just had to have another. Thank you kindly"
thanks for this little lovely guy! Fantastic quality, design, and service. Thanks! Just received the package. Beautiful!! Cool!! Fantastic!! Thank you soooo much for them. They are just great.